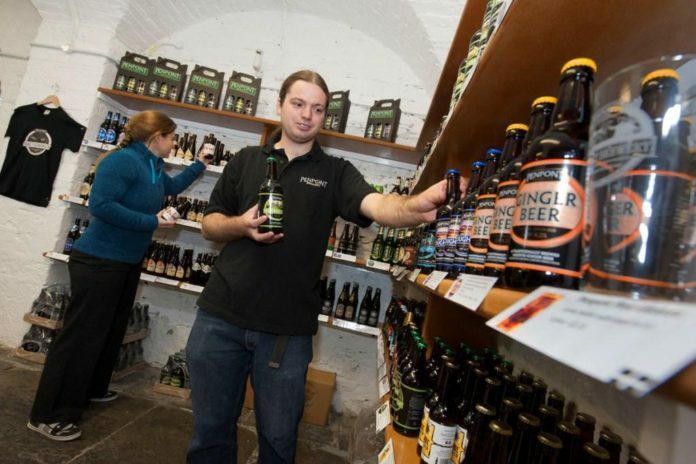 Penpont Brewery has opened a new shop called in Launceston. As well as stocking its own brands on draught, in bottles and in re-usable containers, the company will also be showcasing other local, national and international beers. Opening The Beer Cellar is the latest in a series of developments for Penpont which was first established four and a half years ago by Joe Thomson. In recent months, Thomson has qualified as one of only 36 beer sommeliers worldwide and begun exporting his beer to both Canada and Russia. Consumers are now also able to buy direct from the brewery online. He commented: “We brew our beers in a converted milking parlour near Altarnun on the edge of Bodmin Moor. We can’t sell direct to customers there so opening a shop was the logical step forward.